Nail Training UK provides courses all over the UK to beginners, intermediate and advanced level of students. No experience necessary for beginners. Small nail training classes and 1-2-1 training are available to ensure you receive the maximum attention required to truly understand and develop the skills required to become the best nail technician you can be. Ongoing support and assistance after your training come as standard. 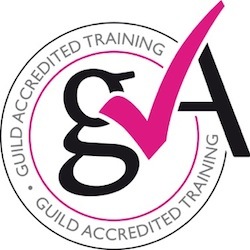 All our nail training courses are accredited with The Guild of Beauty Therapists.